Having a tight budget for your wedding? You don’t have to compromise with the quality of the food and drinks at your wedding in order to fit it! Did you know that a huge portion of your catering budget usually goes to something too ordinary as the appetizers? Your guests will be hungry after the ceremony so they will be happy to eat almost anything as long as it is qualified as a snack before dinner. 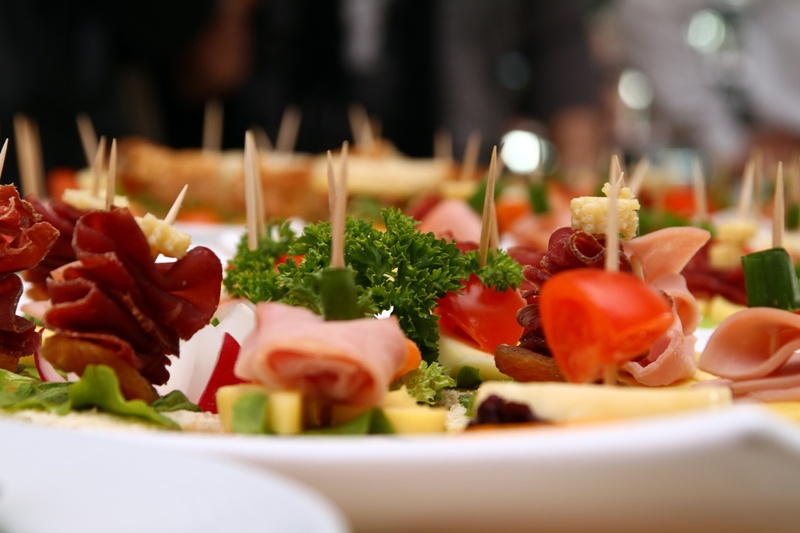 One way to cut your catering costs is to prepare your own appetizers. This is easy as you can bet on fresh fruit, easy crackers, or pre-made frozen appetizers. Your wedding is not a bar gathering for people to choose from a bazzilion cocktails and a hundred whiskey types and your guests should know that. Limit the drinks that will be offered at your wedding to a few classic beverages (plus an optional signature drink) and you will be amazed at the money this simple step can save you! A pro tip: Match the drinks that will be offered with the food that will be served and your guests will be impressed by the consistency of your wedding style! You are getting married, which means your wedding day is the start of your new family, right? Besides, most of the wedding guests are family members (and the ones that are not are just as close as family). Why not take advantage of this and make your catering revolve around the family idea? Organize seating as per your guests’ food preferences and have them enjoy one big meal that will be passed around the table. Make your wedding guests feel at home and save money! OK, maybe you won’t save the planet, but it will be a step towards it. Opt for seasonal (and local) food and stay away from fancy dishes. This will send a clear message to your wedding guests that you care about the prosperity of the local community and you are all about traditions not only when it comes to family values, but food as well. Nowadays the desserts part of your wedding can be just as original (and cheap) as the rest of your wedding without making you look like a skinflint. Go to a drugstore and choose your (and your husband’s) favorite candy bars, cupcakes, etc and serve them at a sweets bar. Your guests will enjoy something familiar and they can even have their dessert at home when they are ready for it. Besides, you won’t need to throw away a hundred half eaten pieces of wedding cake (use a small presentation cake for cutting instead). Your aim is to save the planet, remember?